This project was a scoping study for the identification of remaining monuments which fall within the Prehistoric and Roman periods but which have not been assessed in respect of statutory protection. 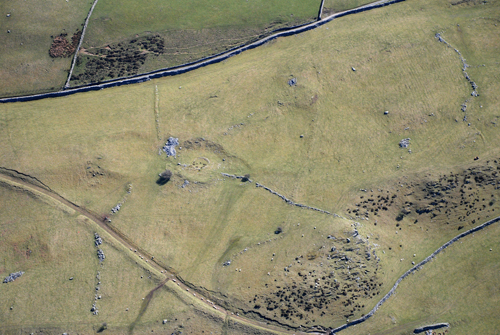 The Gwynedd Archaeological Trust HER was searched in order to establish which monument types within these period categories had not been the subject of a previous threat-related assessment project and which remained capable of such assessment. The HER comprises 17000 entries. Two thousand, five hundred entries refer to the Prehistoric period; twelve hundred refer to the Roman period and three thousand six hundred are of unknown or uncertain date of which a percentage, nevertheless, is likely to fall within these earlier periods. After stripping out find-spots and natural features and identifying monuments in the unknown age category which are clearly of a date later than the Roman centuries, we are left with a reduced total which meet the chronological criteria and are capable of assessment. Within the bracket of the earlier periods, individual monument types are dominated by the preponderance of burial sites and ritual. Domestic settlement is well represented in later prehistory but is difficult to differentiate, by the surface evidence of survival, from settlements of the Roman centuries. Current work on the Roman Fort Environs and Roman Roads project has generated a considerable amount of new information and revision to existing data held on the HER database. The results of this work is available in project reports but are yet to be fully incorporated in the database. Together the assessment projects have surveyed over two thousand five hundred sites, monuments and locations. This leaves a total of around one thousand, five hundred site entries which have yet to be assessed. those monument types, which are a significant component of the archaeological resource and an important element of the Roman and Prehistoric landscape, and which have not yet been assessed, are listed as follows. There is a total of one hundred and eighteen recorded burnt mounds on the HER database and a further thirty recorded during recent excavation. Five are Scheduled Ancient Monuments representing 3% of the resource. These mounds are predominantly located in the uplands and clustered around the north and western side of the county. New sites are being continually identified in lowland locations, however, in the course of development. Recorded examples are rare in southern Meirionydd and Western Llyn. The majority of sites are located close to a stream or on on the edge of marshland. A notable cluster of 16 sites has recently been discovered during pre-development work at Bryn Cegin, Llandygai These are of particular importance because the mounds were not examined in isolation but in the course of a wider programme of excavation. There are eighty-five recorded wells on the GAT HER which are other than domestic and industrial. Only five of these are scheduled; two are listed. These account for 8% of the monument type. Wells with reputed curative or magical powers are often considered in association with the medieval church. There is a strong probability, however, that such wells were originally the focus of a Prehistoric or Romano- British pagan shrine which was subsequently Christianised. It is increasingly recognised that there could be a formalised infrastructure behind the management of a shrine and that the transition from paganism to Christianity could be achieved without too much dislocation within the context of a freeholding lordship. The association of a clas church would be a potential indicator. There are one hundred and fifty records of prehistoric field systems and boundary banks on the GAT HER. Six are scheduled (4%). All of these scheduled sites are field systems. Several fragments or larger areas of field system are recorded in the immediate vicinity of prehistoric settlement. None, however, have been the subject of proper study and many areas are unprotected and at risk. These include both terraced fields, presumed to be arable and of Romano-British date, and upland curvilinear enclosures of possible Bronze Age date, assumed to be stock enclosures. The monuments chosen for selection are not evenly distributed across the landscape. In the case of burnt mounds, there are significant recorded clusters in the uplands between Penmaenmawr and Conwy and in the south Nantlle area. There is a concentation of recorded field systems along the upland interface, again, between Penmaenmawr and Conwy and along the west flank of the Conwy Valley. On the other hand, where burnt mounds are scarcely recorded in Ardudwy, there is a dense concentration of recorded prehistoric fields in the area above Harlech and above Egryn, Cors y Gedol and Dyffryn Ardudwy and, further south, above Waun Oer and Llwyngwril. Wells are more generally distributed. Taken together there is a degree of dispersion in the distribution of the monuments in question. Nevertheless, there are a number of significant concentrations which would allow a more cost effective approach if more than one monument type were assessed at the same time. This approach would also have the benefit of minimising disturbance to landowners and dispensing with repeat visits and accessing contact details.